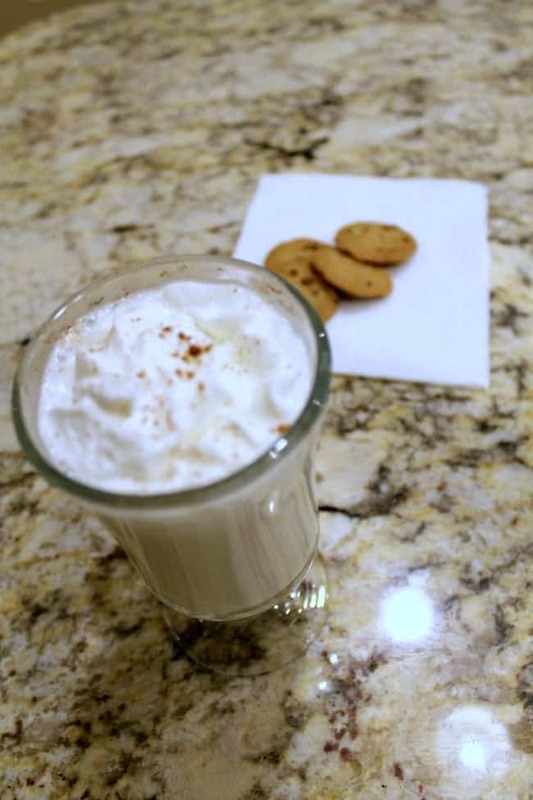 This Hot Vanilla Milk recipe is one of these fun drinks to make when it is cold outside and you want to warm up your entire self. My entire family loves this drink when we want to enjoy a hot beverage. Made with milk and vanilla in just minutes and lovely with a dollop of whipped cream. We love to enjoy these in front of the fire. This post contains affiliate links. The other evening the wind was blowing and the temperature was so cold, this warm winter drink was the perfect beverage to defrost the body. As it, it makes a great warm winter drink for everyone but can be changed up a bit for an adult cocktail too. 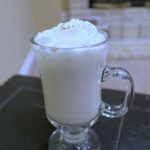 When my kids were younger, they loved the hot vanilla drinks that were available at the coffee shop, and this version tastes even better since it is not made with the powdered mix and a ton of extra sugar. We make our version 2% milk, but you can use whole milk if you want. I imagine you can make it with soy or almond milk, but I have not tried that yet. It goes nicely with cookies too! It’s a nice warm winter drink for everyone as is. 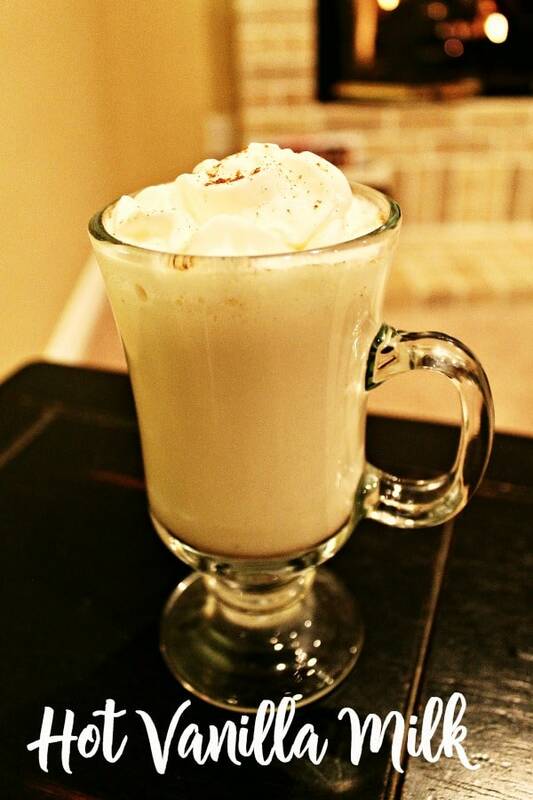 If you want to add a little Irish Cream to it for the adults, it makes a nice hot toddy with a splash. Nutella Hot Chocolate – A lovely hot cocoa recipe with the sweet hazelnut flavor of Nutella. Pink Strawberry Milk – A lovely drink made with real strawberries and no artificial coloring. Really tasty! 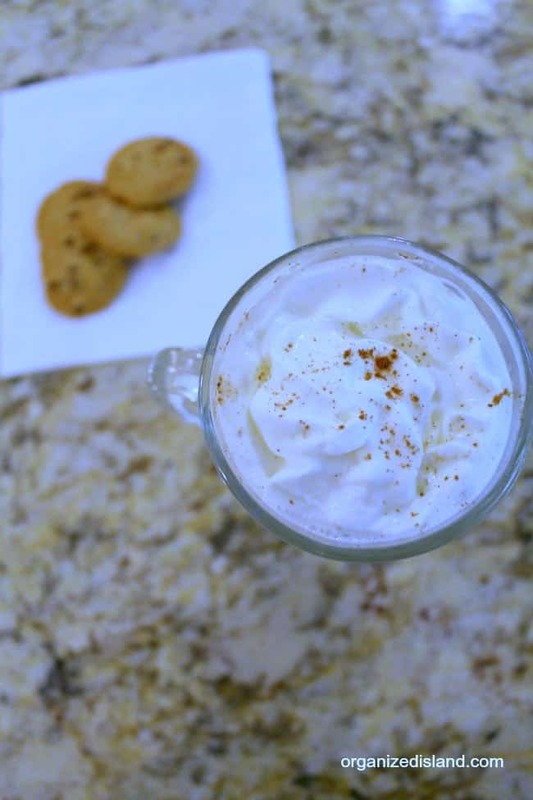 Hot Apple Cider – Apples and cinnamon make this a comforting drink any time of year. By the way, I love serving these hot drinks in these glasses. There is just something extra special about being able to see the hot (or cold) drink in these pretty clear glasses. We use them all the time for festive drinks. Add vanilla, sugar, malted milk, and cinnamon. How is the weather where you are at this weekend? Are you trying to warm up? 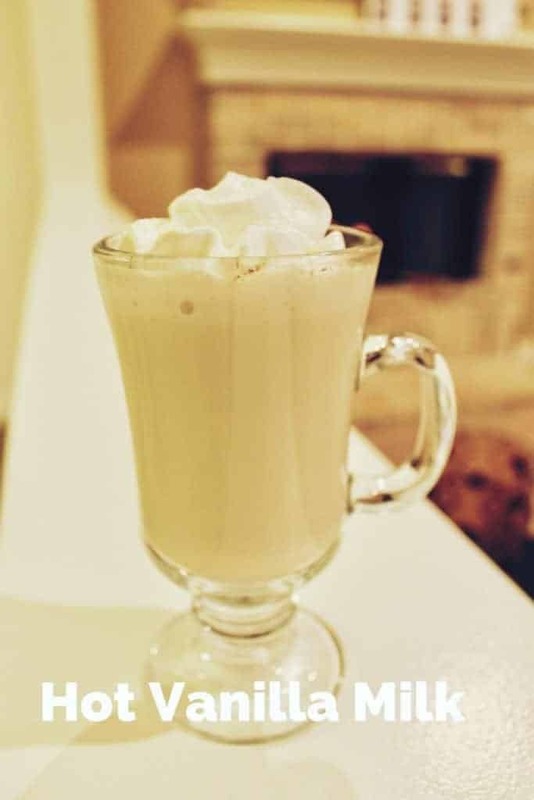 Check out this other tasty hot beverage recipe made with Nutella.If you try this recipe or any other recipe on Organized Island, please don’t forget to rate the recipe and let me know where you found it in the comments below, I love hearing from you! 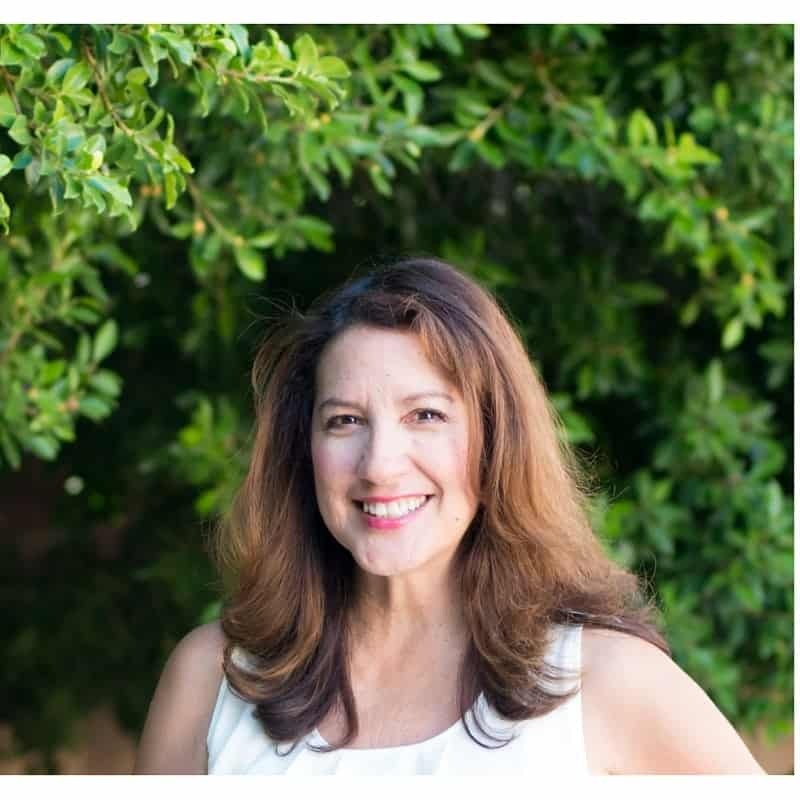 To see what I am up to, check out my stories on Instagram and let me know you are following. It would bring me much joy! YUM. Scarlet told me I’d be her best friend if I attempted this! And I can’t think of a reason not to try! YUM! 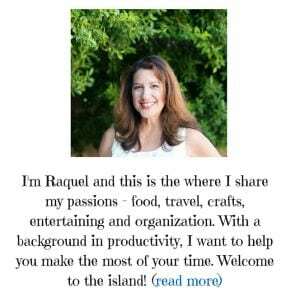 Thank you for sharing with us at the Merry Monday party! Happy Christmas season to you.